Son Marroig is one of the most stunning wedding venues in Mallorca (Spain). If you want to get married at this historic place and want to know more about costs and prices, then get in touch with our wedding planner team now. also is there opportunity that i could come and view the venue in June this year? Also interested in cost and other details!!! I would like to know what it would cost to have a wedding at Son Marroig at the end of May 2016 for around 80 people at most. Hi Renata. I replied you by email. Please could you advise me on an approximate cost for a wedding and reception at Son Marroig and also is there a wedding planner that would be able to organise things whilst I am in the UK? Could you please let me know how much a wedding and reception would cost, roughly, for May or September 2017, for 80 people please, and what includes. Hi Samantha. Will send you more information and costs by email! Could I please have the same details for end of May 2019 for 80 guests. Please would you send me more information and costs on this venue. Thank you Danni. I replied you by email. Hello. How much is the cost for this venue for a wedding and reception for maximum amount of people? Could you send me some info about this venue? Also what is the maximum amount of people possible for reception. Thank you. I replied you by email! Please could you advise me on an approximate cost for a wedding and reception at Son Marroig for approximately 23 people at most and also is there a wedding planner that would be able to organise things whilst I am in Denmark? If yes, will you please send me the portfolio of your wedding planner as well? Thank you! Sure, we offer wedding planning services in Mallorca’s best wedding venues! I replied you already by email. Venue Son Marroig is just perfection for me and i would love to have my wedding in this venue. I would like to know how much is the cost to host a ceremony, reception and dinner (an estimate) for around 50 people? We are thinking of 2017 in July but it might be too hot. Other months that are optional are May and September. I would very much appreciate all the information you could provide me. Thank you Stephanie. I’ll PM you. We offer wedding planning services for Son Marroig and other great wedding venues in Mallorca. Please could you advise me on how much a wedding ceremony and reception would be at Son Marroig, for around October 2017 for 25 people. Please can you provide details regarding the cost of a wedding at son morraig. Thank you Charlotte. I replied you by email. Could you please advise the wedding cost in July or September 2016 for around 30 people. And what includes in the price. I was wondering if you have any dates left to get married at Son Marroig next June, July or August 2016? We are looking at a morning ceremony if possible. If this is not available please let me know which dates and times you have available as I understand you can only book the morning or evening? Please can you provide details of the cost of a wedding ceremony and reception in April/May 2017 for around 20 people please, and what is included? I would like to have more information around Son Marroig to celebrate a wedding in June 2018. It would be around 100 guests. Hi, I was wondering if you could advise me on the price to have a wedding and reception at Son Marroig in July/August 2018 for approximately 40 guests? Also would it be possible to visit the venue in February 2017? I would like to know the cost of a wedding at son marroig for early October 2018 for around 50/60 guests. also is there opportunity that i could come and view the venue in May this year? Please could you provide details regarding a wedding and reception at Son Marroig, in particular the costs. We’d be looking at early summer 2019 – and around 30-40 people..
Is there wedding planners available whilst we’re in the UK? We ideally would like to come at some point later this year or early 2018. 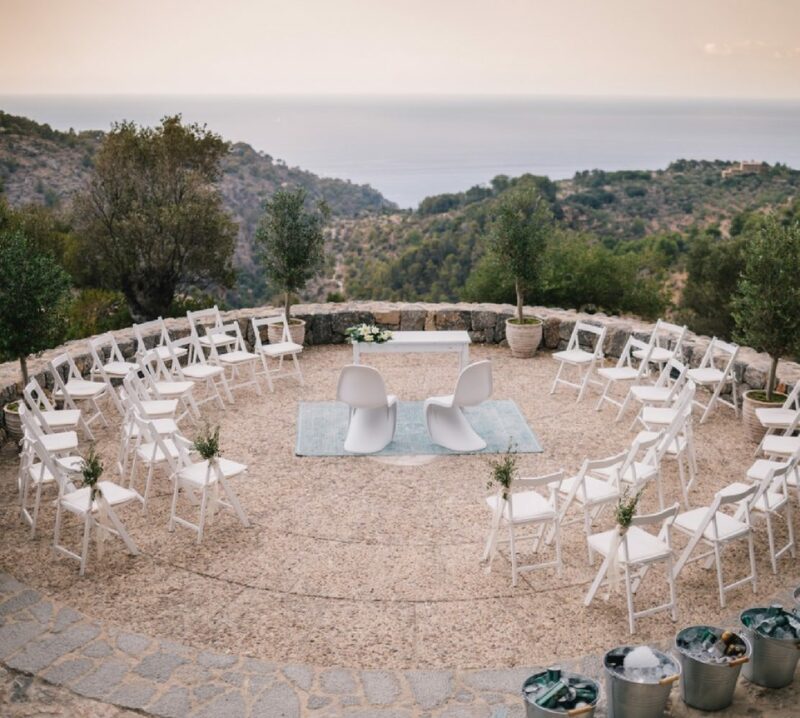 What is the cost to do a wedding ceremony and cocktail reception in Son Marroig for 60 people? We are looking to book our wedding ceremony at Son Marroig early July 2018 for 100 guests. Please could you send me some info regarding prices and the earliest time that we could book. Hi, we fell in love with this venue, Could you email me back and let me know how much does it cost to host a wedding ceremony and a dinner party for May 2018 with aprrox. 20 – 30 ppl. Could you provide any further details in relation to this venue please. In relation to approximate costs per head at son morig or packages you offer please. My fiancé and I would like to get married at Son Marroig. I would like a small intimate Symbolic Ceremony as we are non religious and we live in the UK. I am looking for a package for around 30 guests with meal and evening entertainment. I would like to know how much it would cost for a wedding with a maximum of 40 guests at this location in June of 2018. Hi can you tell me how much son marroig wedding venue hire is? And the maximum number of people? We absolutely love Son Marroig and would love to get married there. It is actually the place we got engaged at! Could you please provide us with a few cost examples for 50-70 persons date 31-08-2019? please could you kindly send me through some further information on this venue? Looking to get married in Mallorca next september. Can you please give me general price information please? Would greatly appreciate it. I am looking some detailed information about this venue for my wedding October 2019. I would be very grateful for a prompt email! Can you please give me general price information please? I’m wondering the cost of having only the ceremony at this venue? Please can I enquire as the price of getting married at Son Marriog for a wedding party of 50-70 people. We will reply by email as soon as possible. Could you please, advise how much cost a wedding venue at the Son Marriog for 11 adults and 4 kids, please? We are looking for to get married on 18th August this year. Hello! Super late notice inquiring if 8/8/18 or 8/18/18 is available for a wedding party of around 55 people? Hi, could you send me across a brochure/pricelist for getting married here in 2019. Hello, we are interested in a wedding on Son Marroig, but not as wedding as whole but just the ceremony, small one with maximum 15 people. Would it be possible? If so, can I ask you for the price? Hi, I’d like some information on wedding costs for son marroig & a reception venue please. I would like to know how much it would cost to get married in Son Marroig with around 30 guests? I would like to know how much a destination wedding package would cost at Son Marroig. Please include as much detail as possible. Thanks in advance! Im wondering about cost for wedding ceremony and dinner by San Morroig for about 50 people? I was wondering if you could give me a rough price guide for a wedding for about 50 guests. What is included and what would extra costs are to be expected. Hello. How much is the cost for this venue for a wedding and reception for aprox 120-140 of people? Please contact us next year for 2020 bookings. Hi , could you please let me know what are the prices of a weeding around 24 people in Son Marroig in Mid May 2020? Hey could you tell an estimated price hire, ceremony and reception for up to 30 guests for April and August 2019 please. Can I ask for the average cost of a wedding here? Please could you provide details regarding a wedding and reception at Son Marroig, in particular the costs. We’d be looking at early summer 2019 – and around 20-30 people. Please could you let me know how much it would cost to hire as a wedding venue? I am interested in this venue for my wedding. Can you give me some more information on costing for approx 40 people for reception and wedding. Also for wedding planner service please. Hi, I am looking to hopefully book this venue for 2020, could you please send me the wedding packages and prices please? Hi could I have some information about weddings at son morraig venue and costs for services and reception for around 25 -30 people please. I’d like to get a quote on a wedding and reception for around 100 people August 2021 please. Hi, found this website while researching for son marroig wedding. would like to know the cost and availability dates in 2020? if you could send the informations that would be great! Please you tell me the cost of booking the beautiful son marroig for the wedding ceremony. Hire if chairs and registrar etc. I also would like to request some wedding information for June 2019 for about 75 people. Please let me know costs and information about catering and what is included etc. Thanks! Could you please let me know how much a wedding and reception would cost, roughly, for May or September 2020,for 80 people please, and what includes. Please could you send me pricing/options available for a wedding ceremony and reception, approximately 30-35 guests. Looking at the dates for the last week in August 2019 but not the Saturday. I wonder how much would be the cost for a 50 -60 pax wedding including wedding ceremony + (Plated or Buffet Dinner + alcoholic beverages) + dj performace till 2 or 3am + flower arrangements. Please advice if there is accomodation possibilities at San Marroing or near by hotels. What would be the extra costs. We plan the wedding to be on Late September or Early October 2019. Please send us a good price point offer. I would to enquire about booking a wedding. Do you have a guide price for weddings? Ideally it would be in the summer time. Can you please share approx cost for a wedding at this location for ca80 people and the availability for april 2018? Thank you! 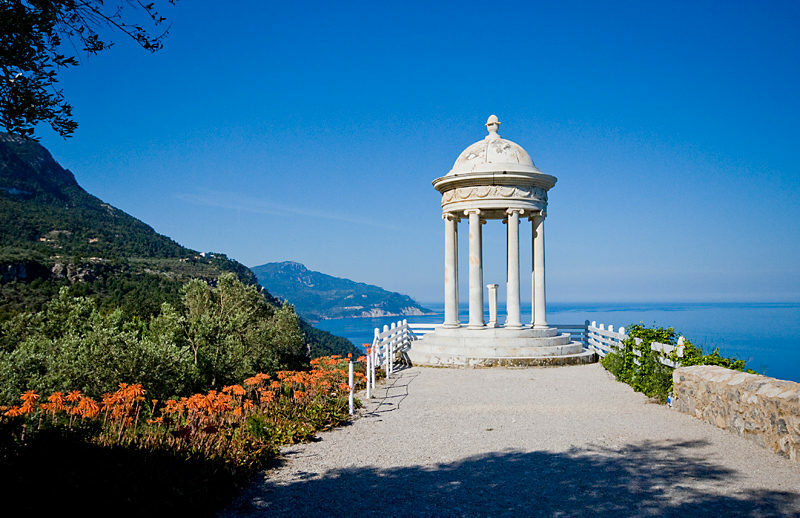 Could you send me pricing for a May 2020 wedding here – both ceremony and reception. Plus wedding dressing and planning costs? Could you send me pricing details for a wedding at Son Marroig in September this year (during the week) for approx. 50 people please? Hello. Could you tell me how much the cost is for this venue for a wedding for aprox 120-140 of people? Could you send me some info about this venue? Looking at dates in september 2021. Is there any availability for Son Marroig this September or October 2019 for 60-80 people? Hello – I proposed to my wife to be yesterday (she said yes, thankfully!). We would love to get married at Son Marriog as we have been aware of the venue for some time. I would be grateful if you could contact me with the details & prices for April – June 2020. Hello! I am planning a wedding and would like more information on costs, accommodations, catering, music, photography, and wedding day transportation. Possible dates include June 2020, Sept. 2020, Oct. 2020 for approximately 50-100 guests. Thanks! Hello! I am planning a wedding and would like more information on costs, accommodations, catering, music, photography, and wedding day transportation. Possible dates include June 2020, Sept. 2020, Oct. 2020 for approximately 50-100 guests. Thank you! We are looking to hold our wedding ceremony / blessing (no reception or dinner) at the beautiful Son Marroig in late September 2020 for 60 people. Please advise how we book the venue and what the cost is, as well as what the different decoration packages / services are. Thank you very much in advance. Look forward to hearing from you!